Paintball is an extreme, adrenaline fueled game! Insurance statistics indicate that it is safer than golf, swimming and other popular high adrenaline sports. However, the paintballs can still cause injury, and safety is the most important part of the game! An informed player will ensure each player has the most amount of fun while still staying safe! The most severe paintball injuries occur due to people removing their face masks and other safety gear at inappropriate times. At Spec Ops Paintball, the paintballs shoot at 270 fps! This means if you remove your facemask while other players are still shooting paintballs, you could potentially lose an eye! Hence, NEVER remove your mask during the game. There are no exceptions to this rule. Always safely exit the field before removing your facemask. Only wear the facemask provided by Spec Ops Paintball, or if you have own mask, have the safety supervisors test your mask before the game. At Spec Ops Paintball, the SF Package includes hard covered gloves, a tactical plate carrier (which reduces the impact of paintballs to your upper torso and back), knee pads and military grade flight suits. All this protective gear will ensure you have the maximum amount of fun (and hopefully the least amount of pain). Paintball is a sport. While there are periods of sitting, hiding and waiting, most of the time there are lots of moments of running, sprinting, jumping and moving. This means you should stretch and warm up before playing the game (and warm down afterwards), and make sure to drink plenty of water on the day. Paintball can be a competitive game; however, good sportsmanship is crucial to ensure that every player has a great time on the field, i.e. follow the rules and don’t cheat or argue your way through the game! At Spec Ops Paintball, players are encouraged to play tactically and plan their missions before each game. Don’t blindly fire if you can’t see what you are firing at! If you fire without looking, you can accidentally shoot the safety supervisors, players who have surrendered or shoot your opponents at an unsafe range. The minimum range to shoot a player is 6 metres. If you see a player closer than 6 metres, ask them to surrender. Likewise, accept surrender if someone calls it out to you! The paintball markers are classed as weapons under Queensland Law. This means that any players under the influence of drugs or alcohol will not be permitted to play. Each and every player is required to sign a waiver every single time they play at Spec Ops Paintball, even if they’ve played before. 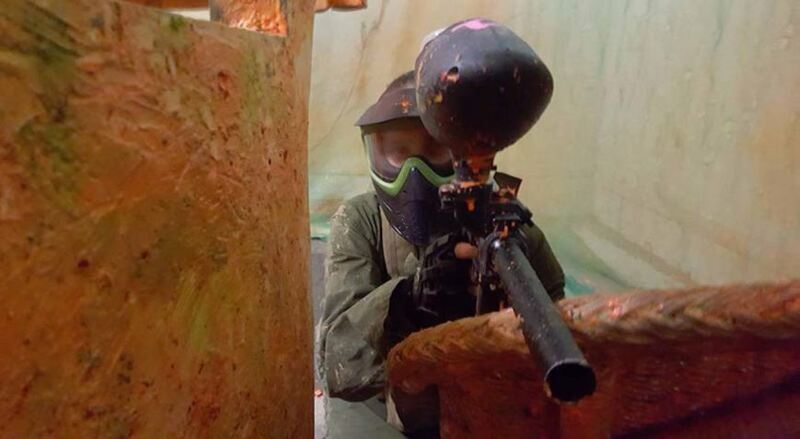 Paintball is a strategic and adrenalin-fueled game – you do not need drinks or drugs to have a great time! Most safety issues can be avoided with some simple common sense (i.e., don’t look down the barrel of a loaded paintball gun; don’t remove your safety gear in the middle of a match; don’t shoot your friend at close range; don’t aim your paintball gun at yourself when you hold it). If you need to stop and wonder whether something is a good idea, it’s probably not. At Spec Ops, we undertake every precaution to make sure that your game is as safe as possible. For more paintball safety tips, don’t hesitate to give us a call or drop into our Brisbane City location.